Whether you’ve lost one or a full arch, living without your teeth makes life hard. Many times, you’re forced to miss out on one of the simple joys of life – eating your favorite snack. Furthermore, you’re less likely to pose for pictures because of your smile insecurities. 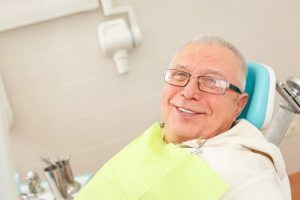 Thankfully, there is a way to replace your teeth and restore your image with dental implants, and as you read on, your dentist goes in depth about how the process works and the average costs. Your path to a new “You” starts now! Dental implants are surgically inserted titanium posts that are affixed to your jawbone. Over time, they fuse with the same through a process called osseointegration and form a sturdy foundation to support your facial structure and allow new restorations (prosthetic teeth) to be added. Implant Insertion – The first step of the dental implant process is to surgically insert the post. This part of the treatment can range from $1,500 to $2,500. Abutment Placement – The abutment is a connecting piece that attaches to the implant after an initial period of healing, and it allows the final restoration to be added. The average cost is $500 to $2,500. Placement of Restoration – To have your tooth fully restored requires that a prosthetic be added. For a single missing tooth, a dental crown restoration averages $1,500 to $2,500. Keep in mind that the above averages are based on a single tooth replacement and restoration. Replacing several teeth or a full arch will affect the cost. Another part of the dental implant process that must be considered is sedation. It allows you to have a pain-free, relaxed experience while your implant is being placed. If your dentist chooses to use oral conscious sedation, which is delivered in pill form, the cost averages $500 to $900. The best way to get a true idea of what it will cost to receive dental implants is to visit your dentist for a full examination and assessment of your current condition. The professional will tediously consider your bone mass using X-Ray photos, and he or she will look for any oral health issues that need to be addressed first. By taking such a methodical approach, your dentist will ensure that the 95% success rate of dental implant procedures remains consistent and that you are fully restored and healthy. After going through these steps, the professional will give you an accurate price. In most cases, dental insurance does not cover dental implants. However, you can ask your dentist about financing options so you can get the care you need. To learn more about the dental implant process and find out if you’re eligible to receive this type of care, reach out to your local specialist to schedule a consultation. Dr. David Tripulas earned his dental degree from the University of Texas Health Science Center Dental Branch. A lifelong learner, he was awarded Mastership from the Academy of General Dentistry in 1993. Dr. Tripulas uses his expertise to restore patient’s missing teeth with dental implants at his private practice, and he can be reached for more information through his website.